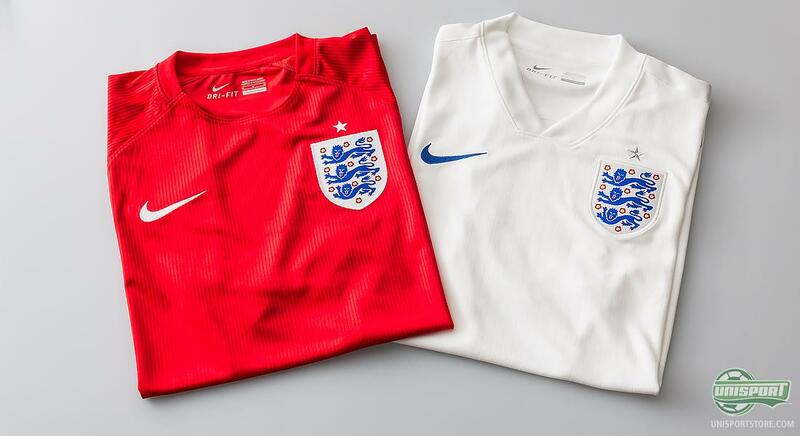 England and Nike have today been extra nice to fans of 'The Three Lions', as they have unveiled both England's new World Cup home- and away-shirt, which Rooney & Co. will wear when they take to the field of play in Brazil this summer. 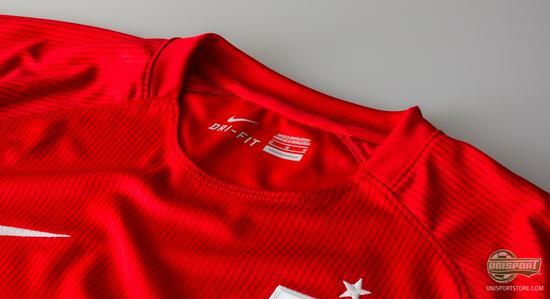 We have taken an extra look at the away-shirt here – so come along with us, as we shine the spotlight on the new red shirt here. 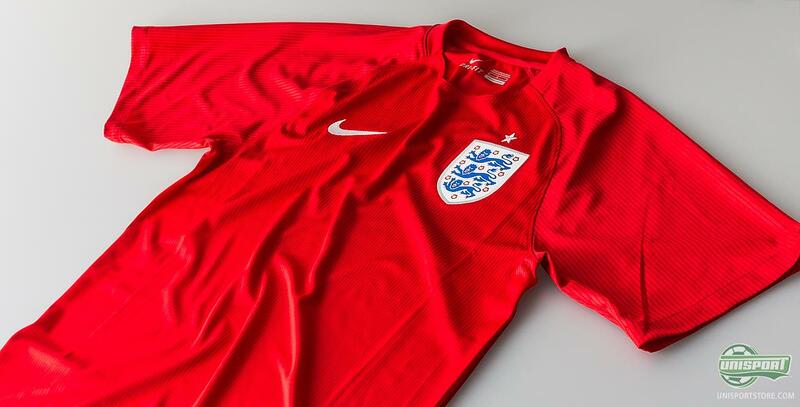 If you forget the navy away-shirt from 2012 and the grey one from 1996, England’s away-shirts have been red for many, many years – and Nike also keep the style from last year, by making England's World Cup red again. Just like the home-shirt, England's away-shirt is made as a tribute to the English shirts used at the World Cup in Mexico, where they also used the iconic pinstripe pattern. At the same time pinstripes were famously worn by the old English PM, Winston Churchill, who if anyone can be described as a super-Englishmen and this aspect gives the shirt yet another link to the proud country's history. Want to show your support, as the English take on Italy, Uruguay and Costa Rica in Brazil – you can find the shirt here. Actually the pinstripes play a big roll on England's away-shirt, as they move all the way up the shirt and actually cover the front part of the collar. At the same time the stripes are made in a way, so they, from a distance, create an optical illusion, where you can see the St. George's Cross. You won't see it up and close, so it is quite a cool detail. 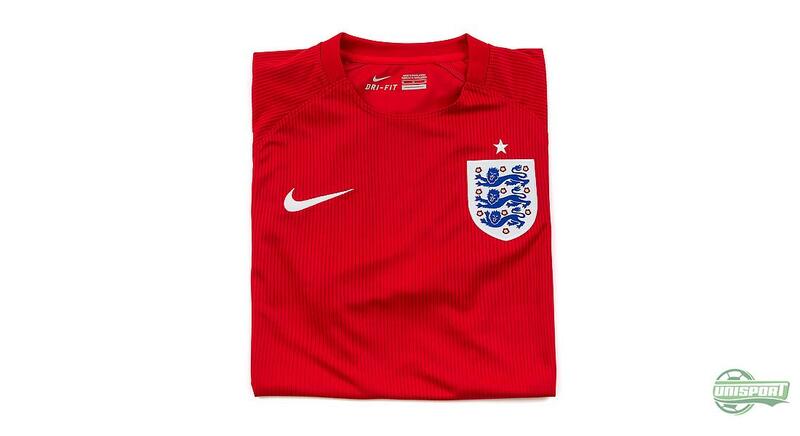 Not everything is red on England's away-shirt, as Nike have made the stars, which sits just above the English logo white. It symbolises the English World Cup triumph in 1966, with the shirts red colour also leading you back, as this was the colour Bobby Moore and the gang wore, as they beat West Germany 4-2. Under the star is the English logo, which is made with the classic colours – and then not quite. Nike have made the lions from a lighter shade of blue, which is also used on the home-shirt and this gives the shirt a fresher look. 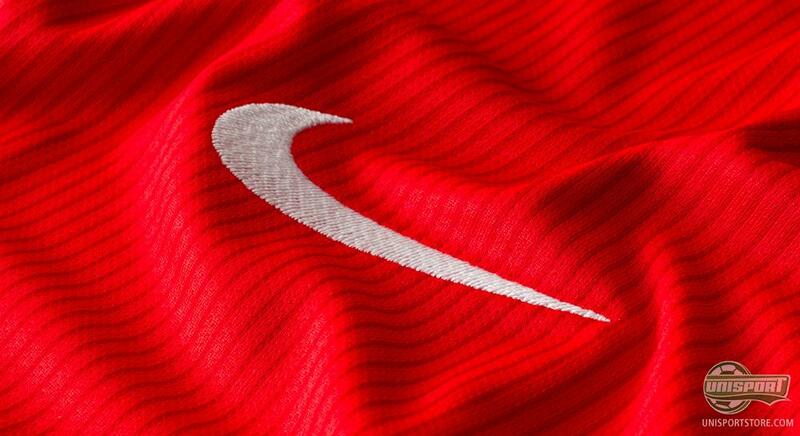 The white part of the logo is made with a special coating, so it shines in UV-light – a cool little detail. England's new away-shirt is – like Nike's other World Cup shirts, - made with Nike's Dri-Fit technology, which ensures a both light and quick drying shirt. 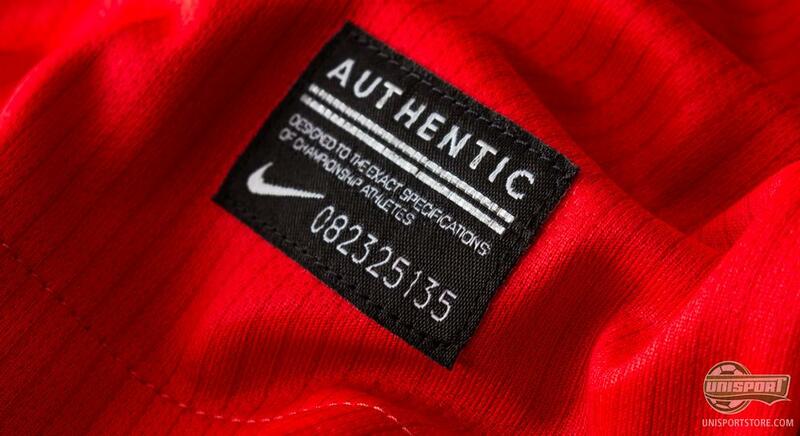 This has been combined with Nike's burnout weave and ventilation holes that have been carved with laser, so you get the very best breathability. 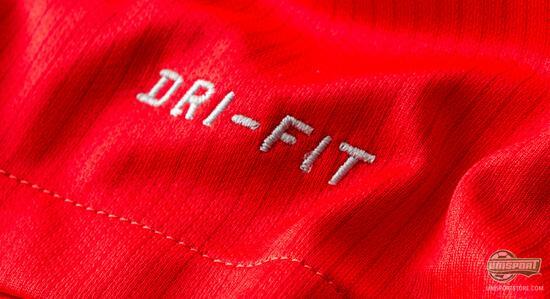 To ensure the very best and most modern fit Nike have used their 3D scanners and England's new away-shirt is therefore more tight fitting than before. At the same time Nike have also used their so-called double-weave technology and the shirt is therefore part polyester and part cotton. This gives you the best of both worlds, with excellent sweat-transportation and a nice soft touch. 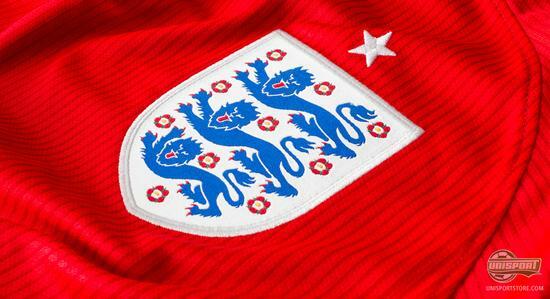 Pinstripes have taken centre stage on the England's new World Cup shirts and both the home- and away-shirts are made to honour the proud English traditions. The rest is up to Rooney & Co, because kit-wise, they will never be more ready than now. 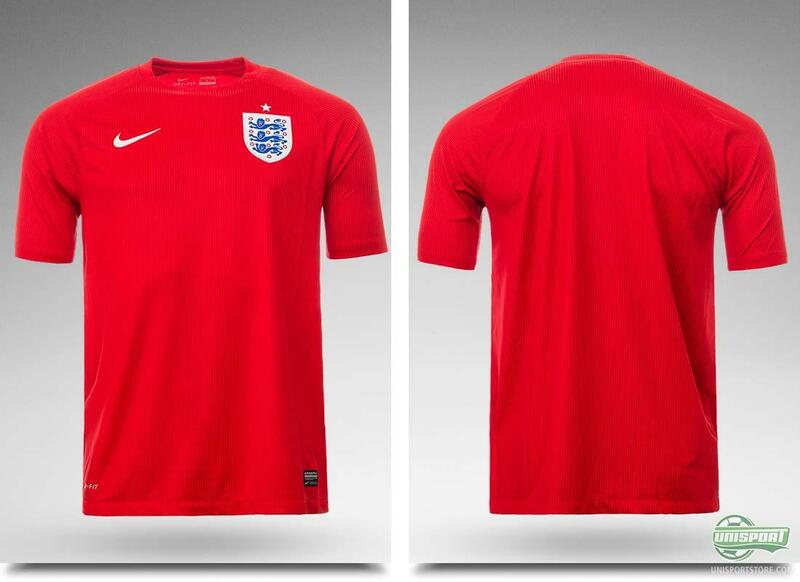 What do you think about the new away-shirt for England? Is it something you might want to get your hands on – and do you think England stand a fighting chance at the World Cup in Brazil this summer? Share your thoughts in the comment-section down below or on Facebook and Twitter.